OnePlus 6T Preorder With Free Type-C Earphones: Rumors Or Reality? It seems that the pre-order 'deal' was an accident. OnePlus 6T preorder: Truth or rumours? Tech news portals and journals were abuzz with the report that pre-order of OnePlus 6T is now open, with free Type-C earphones for all users, and Rs 500 Amazon Pay balance. However, now, no such deal or offer for pre-order is visible. 1 OnePlus 6T Preorder: Accidental Leak! 2 OnePlus 6T Preorder: The Truth! 3 OnePlus 6T Preorder: What’s Next? 4 Should You Buy OnePlus 6T? OnePlus 6T Preorder: Accidental Leak! 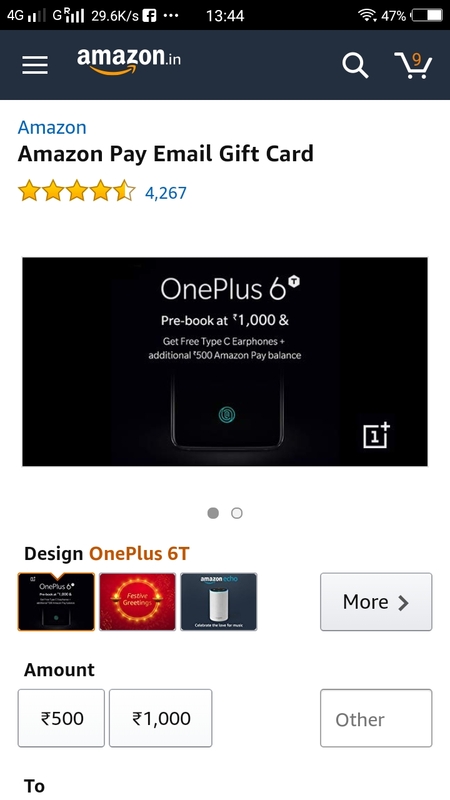 Yesterday evening, few news portals such as MySmartPrice and others reported how a new ‘deal’ from Amazon India: Preorder OnePlus 6T by paying Rs 1000, and get free Type-C earphones and Rs 500 worth of Amazon Pay Balance. Yes, this was indeed a true news. 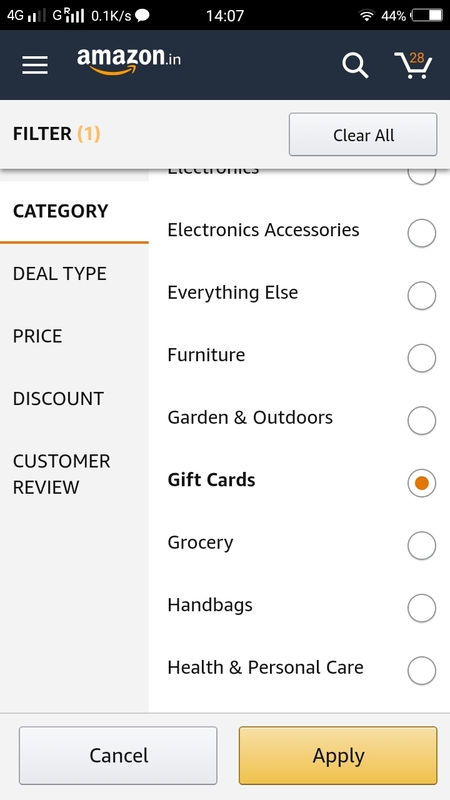 The option to purchase this ‘deal’ was available on Amazon India app, and not desktop site, and the deal was to purchase a gift card. Once the Gift Card was purchased by paying Rs 1000, the preorder for Oneplus 6T was completed, and the user was eligible to get the free Type-C earphones for free, and Rs 500 pay balance. However, now this deal has been removed, which proves that it was an accidental leak of the offer, which can be announced later. OnePlus 6T Preorder: The Truth! Few hours back, we investigated the ‘deal’ from Amazon and found it there. As you can see in these exclusive screenshots, the deal was available for few hours. 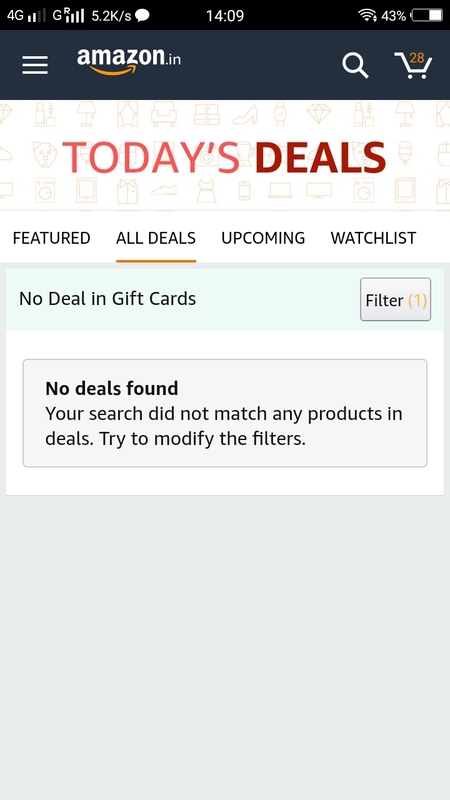 However now, the Gift Card based deal has been removed. OnePlus 6T Preorder: What’s Next? As of now, the ‘Notify Me’ option is still available, wherein you can tag yourself in the list of interested buyers of OnePlus 6T on Amazon, and get notifications about its exact availability. This Notification page has been active for months now, and will allow buyers to get notified till October 17th, in all possibilities. Should You Buy OnePlus 6T? If you have a budget of Rs 30,000, and looking for a premium range smartphone, then OnePlus 6T seems a good option. Indians are already preferring OnePlus over Apple and this is a huge sign. Even before its launch, there have been special sale offers and discounts announced, which makes the bargain a no-brainer. Here are the features of OnePlus 6T, which even iPhones won’t have; and the hype Type-C USB earphones is already over the roof. We will keep you updated, as we receive more news. Stay tuned! Shocking: Oppo R17 Could Be OnePlus 6T, Price & Details Leaked! "OnePlus 6T Preorder With Free Type-C Earphones For Rs 1000: Rumors Or Reality? ", 5 out of 5 based on 3 ratings.